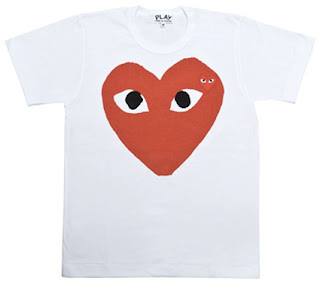 I just recently discovered how much I love this brand and am now in a passionate affair. 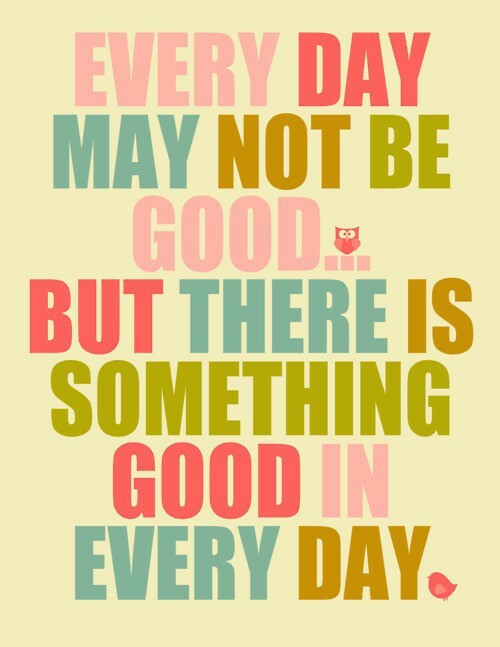 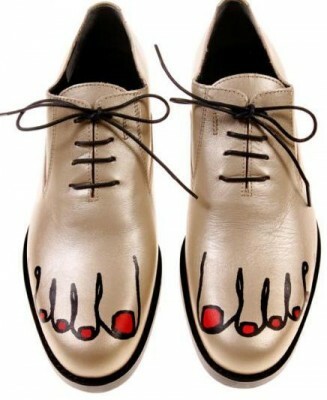 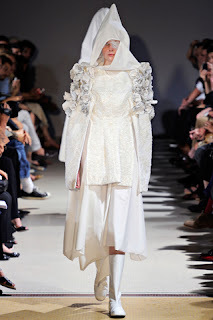 This is one of my favorite designers. 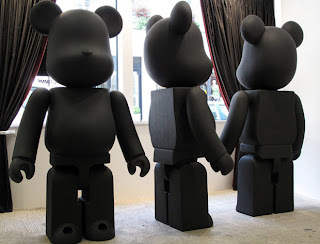 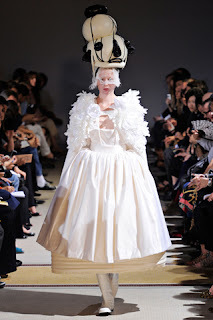 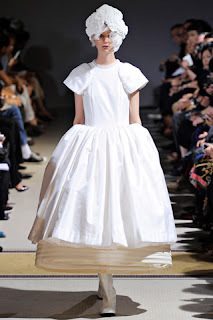 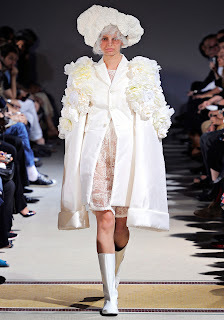 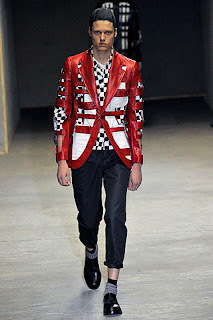 Founded by Rei Kawakubo, comme des garcons is a tokyo based fashion company with stores in the prestigious Place Vendome in Paris, Berlin, London, Hong kong and lots more. 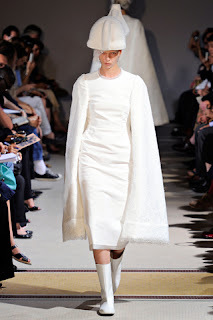 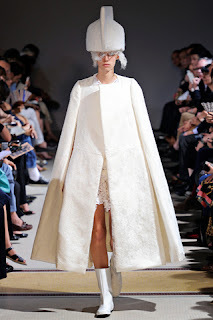 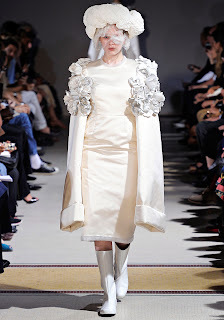 Asymmetric drapery and exaggerated proportions with mostly monochrome palette rule the Haute Couture collections but its ready to wear looks are fabulous as well. 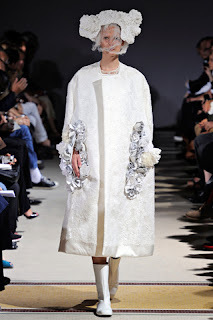 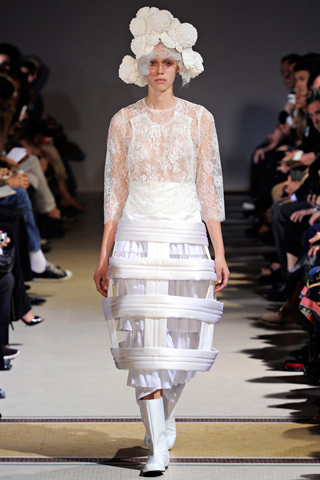 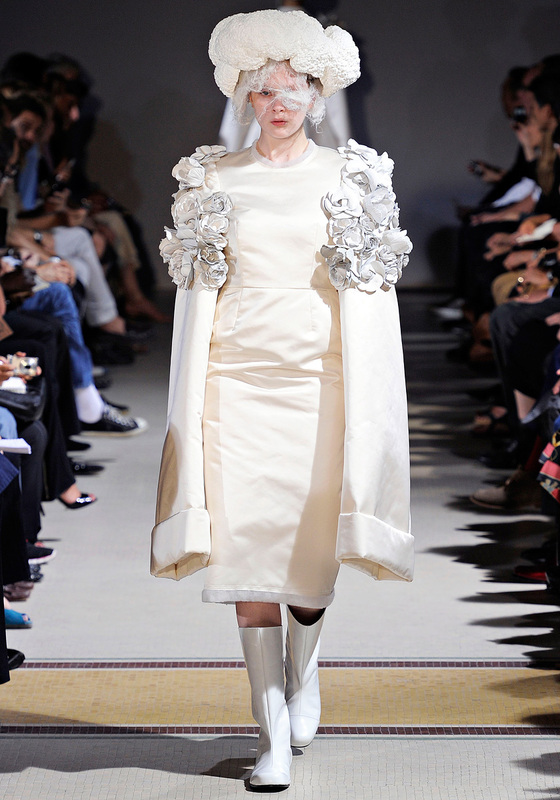 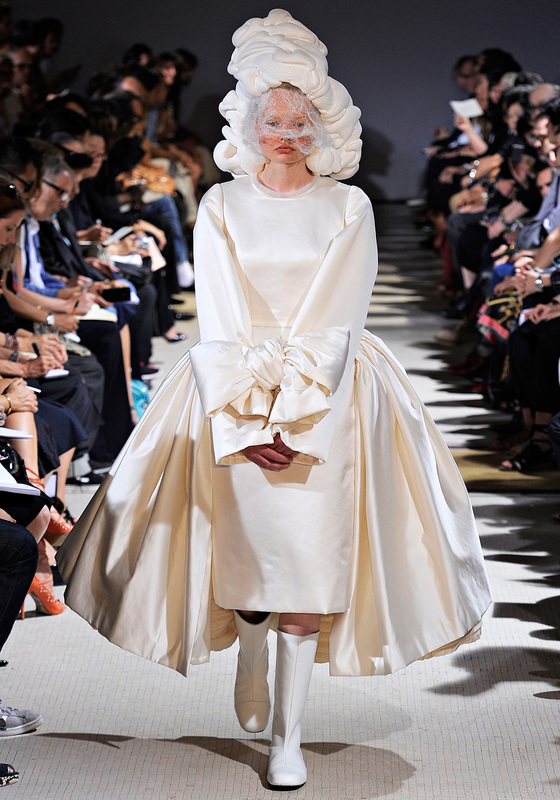 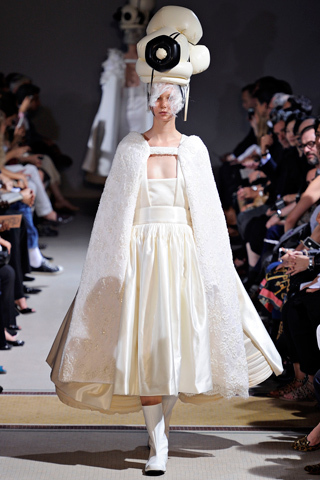 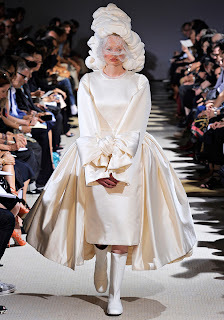 Rei Kawakubo has managed to capture the hearts of fashion heavy weights like Tilda Swinton (i love her), Chloe Sevigny (love her), Kanye West, Mary-Kate Olsen, Justin Bieber, Selma Blair, Leila Aldik - the list goes on. 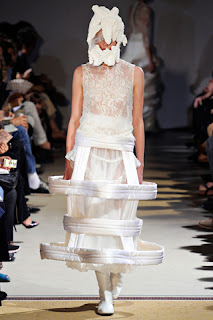 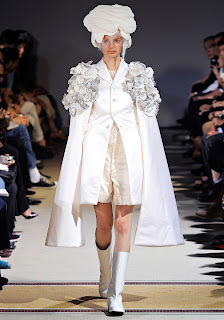 Her Designs are so Avante Garde and futuristic that they look more like wearable art as opposed to normal clothing. 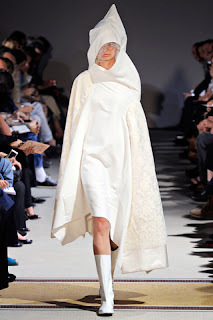 Her style (Japanese street style) and take on fashion; which i will describe as abstract, innovative, modern, architectural, deconstructive, is not one every body will understand but has definitely captivated me. 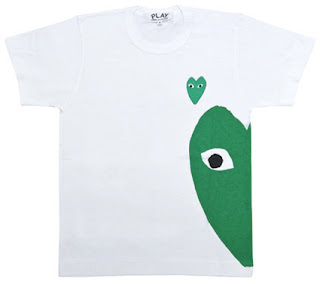 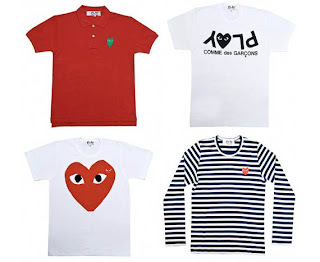 Comme des Garcons has found its way to our lovely country Nigeria, her T-shirts have been seen on stars like Ice prince and Skales. Not very affordable, these t-shirts retail for about 80 pounds,wwhhheeww, that will definitely leave a dent in my wallet, looool. 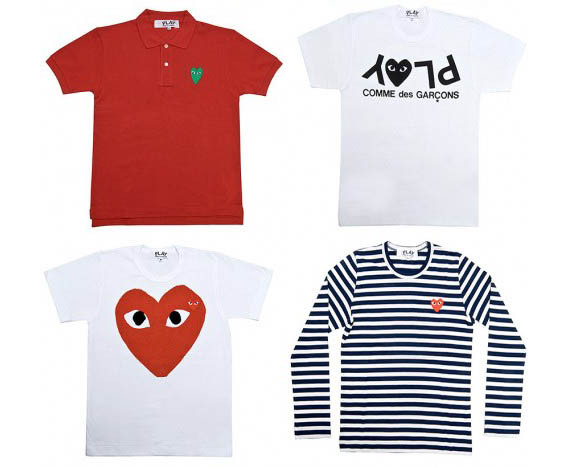 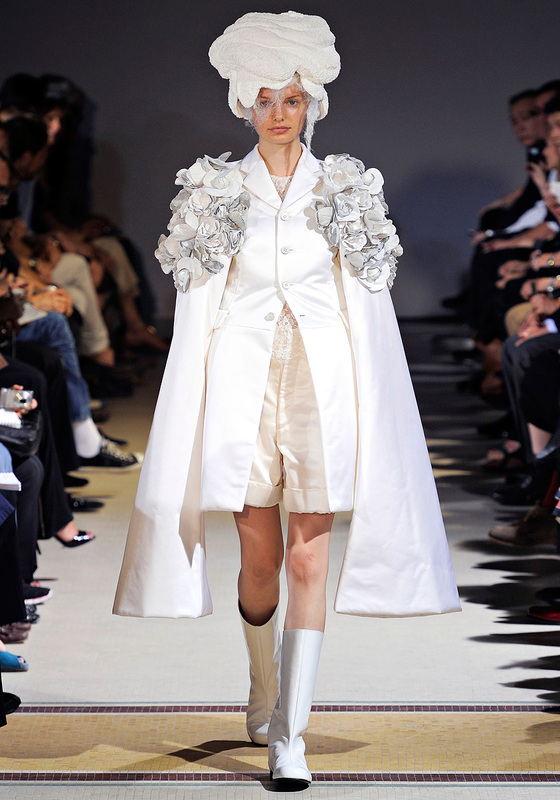 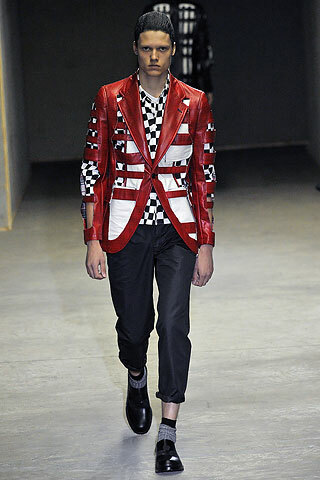 Commes Des Garcons actually joined forces with H&M and brought out a new line of clothing in the fall of 2008.